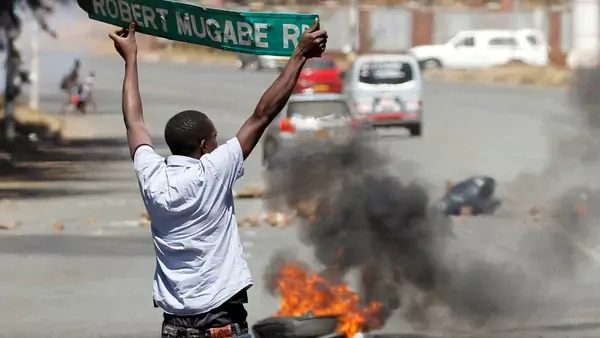 A 2015 CFR Contingency Planning Memorandum (CPM), “Political Instability in Zimbabwe,” highlighted the potential for violence in connection with leadership succession. 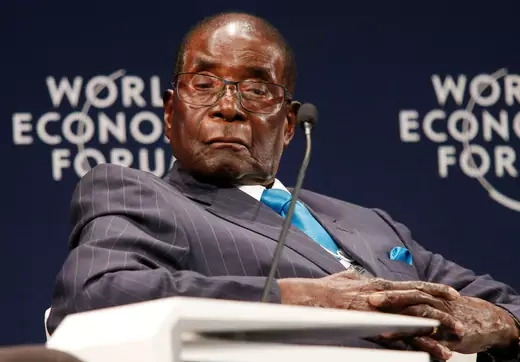 The remarkable longevity of Robert Mugabe, Zimbabwe’s leader since 1980, has deferred but not answered the question of what will happen when the ninety-three-year-old passes away. Two years since the publication of the CPM, the potential for instability remains. President Mugabe’s refusal to plan for a transition. The increasingly infirm Mugabe insists he will be a candidate in 2018 and continues to play factions within the ruling Zimbabwe African National Union-Patriotic Front (ZANU-PF) off of each other. Internal dissension in the ZANU-PF. Mugabe’s approach fosters ZANU-PF factionalism, which is the most likely potential source of political violence. Even though the support of most of the leaders of Zimbabwe’s security establishment would seem to give the Lacoste faction around Vice President Emmerson Mnangagwa the upper hand over the G40 group supporting First Lady Grace Mugabe, it is impossible to predict the outcome of the intraparty struggle. Failure of the political opposition to gain traction. The National Electoral Reform Agenda, the opposition umbrella group, formed out of an uneasy alliance between outcast ZANU-PF Vice President Joice Mujuru and perennial opposition leader Morgan Tsvangirai. The former has encountered turbulence within her own breakaway party, and the latter is seriously ill. Genuine opposition unity remains elusive, and the question of who would be the alliance’s candidate for president remains unsettled. At least for now, political drama within the nascent alliance is more salient than the threat of widespread violence between the government and the opposition. Continued economic decline. The former food-exporting country now depends on agricultural imports. Investment has dried up. Public servants, including members of the security forces, are not being paid on schedule. The shortage of hard currency led to the introduction of a pseudo-currency: U.S. dollar denominated “bond notes.” So far, the bond notes have declined modestly in value against the dollar. Should that deterioration turn into massive devaluation, an economic crisis could ensue. Diminishing likelihood that Zimbabwe’s neighbors will help prevent violence. South Africa is currently distracted by its own political turmoil and the growth of economic populism. There have been troubling indications of authoritarian tendencies elsewhere in the subregion. In Zambia, for example, the leader of the political opposition has been jailed and charged with treason for allegedly failing to make way for the president’s motorcade. These factors have reduced but not eliminated the possibility that members of the Southern African Development Community (SADC) will act to limit violence during a succession crisis or to reestablish the rule of law post-Mugabe. The United States has limited direct interests in Zimbabwe. Bilateral trade and investment flows are small, and Zimbabwe does not directly threaten U.S. security interests. Indirectly, however, the United States has substantial equities at stake. First, instability in Zimbabwe could result in internal violence and even greater humanitarian need than at present. Even relatively low levels of violence could disrupt food supplies and require increased emergency aid from the United States and other donors. Delivery of timely aid could be problematic if the amount of resources available from the United States for emergency assistance declines. Second, political instability, violence, and further economic decline in Zimbabwe could spill over into the fragile economies and social structures of South Africa and other SADC nations. Xenophobic violence directed against Zimbabwean migrants in South Africa has already been a problem and could become worse if large numbers of refugees began fleeing Zimbabwe. Third, interparty tensions in South Africa over policies toward migrants could increase. Even in its weakened economic state, Zimbabwe is a significant export market for South Africa and other regional countries. Contraction of that market would be an economic setback for the region and a threat to U.S. trade interests. At a time of considerable turmoil in other regions of Africa, the loss of stability in southern Africa would be a blow to U.S. interests. U.S. policy should seek to prevent instability and violence in Zimbabwe and to reduce the severity should they occur. To achieve these goals, the United States could pursue three potentially complementary paths that focus on shaping the calculus of leaders in Zimbabwe, positioning the United States internationally to take effective action in the event of significant instability and violence in Zimbabwe, and working in the regional context to increase the likelihood that Zimbabwe’s SADC partners would act to reduce any violence. The United States should expand contacts with a variety of first- and second-tier ZANU-PF and government figures and with influential business leaders to make clear that it would be willing to offer incentives to a government in Harare that demonstrated commitment to the rule of law. Such an approach to a post-Mugabe Zimbabwe would be similar in spirit to that being applied toward Sudan. Initial steps would include discussions of possible progressive modifications of sanctions if Zimbabwe makes progress on rule of law issues. Before embarking on these contacts, the U.S. government should complete an internal review of its policies toward Zimbabwe to determine how a gradual relaxation of sanctions might be orchestrated should a successor government in Harare move toward political and economic liberalization. In addition, the United States should continue to reach out to the opposition to encourage developing an effective coalition and should continue efforts to influence the successor generation through programs such as the Young African Leaders Initiative. The U.S. government should complete an internal review of its policies toward Zimbabwe. Internationally, the United States should consult actively with its European partners, especially the United Kingdom, to develop a common assessment of the situation that would provide a basis for coordinated actions should instability and violence occur. The outlines of the internal U.S. government review of its policies toward Zimbabwe should be shared with allies. Because China is the external partner most likely to be able to influence a successor government led by ZANU-PF, Zimbabwe should be on the agenda of U.S.-China consultations on Africa. Beijing has already demurred in response to the Mugabe government’s requests for new assistance; this stance might indicate that Zimbabwe could become a relatively easy test case for U.S.-China cooperation, especially in the context of U.S. acceptance of China’s substantial role in Africa. Finally, the United States should make it a priority to consult with South Africa and other SADC governments on steps they could take individually and together to limit instability and violence in Zimbabwe. Although prospects for cooperation on Zimbabwe with the current South African government led by President Jacob Zuma are not promising, other leaders in the ruling African National Congress, in opposition parties, and in civil society might be more receptive to proactive approaches to averting instability and dealing with the complexities of a post-Mugabe Zimbabwe. The United States should pursue any opportunity for dialogue on Zimbabwe with receptive partners in South Africa.